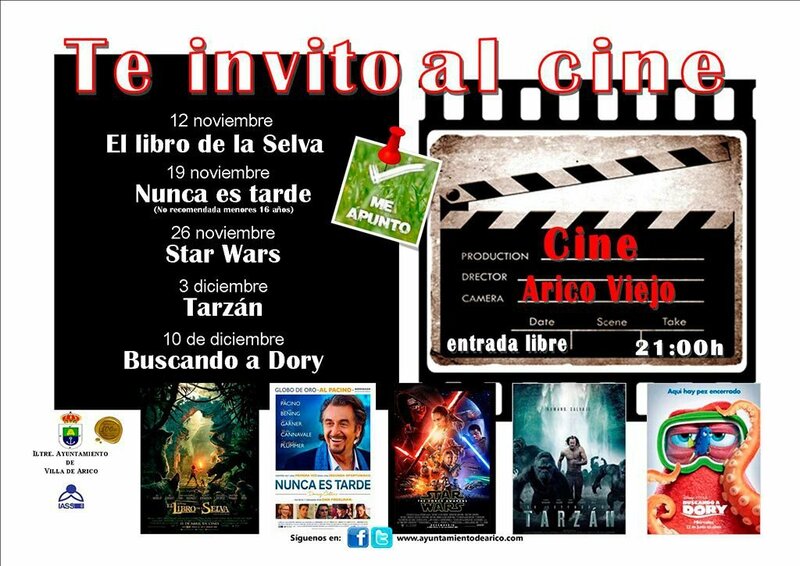 The cinema of Arico Viejo is hosting a months worth of free films for all to enjoy including the Jungle Book, Star Wars and Tarzan. Films are in Spanish. The showing nights are every Saturday from the 12th November to the 10th December and begin at 21.00 - entrance is free. Check the poster for the films and times.